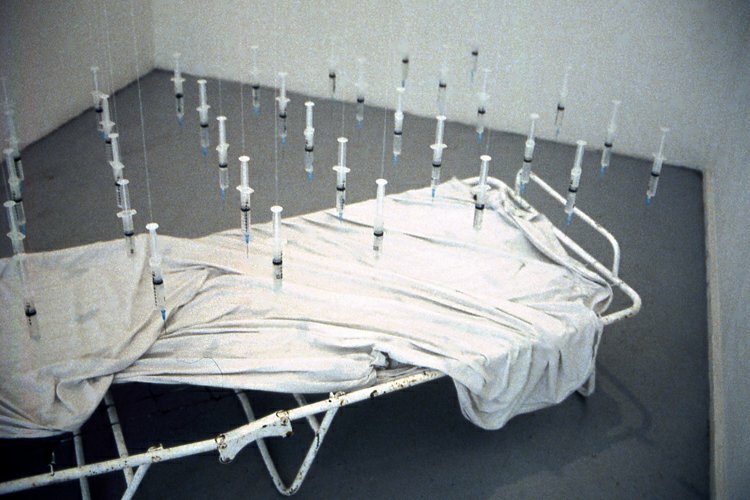 was put together with needles, syringes, a camp bed and a wet cotton sheet thrown on top of the bedsprings. This work was born out of the fear Manel was feeling at the time before retroviral medication was discovered, as well as his fear of being pricked by needles. Going to bed was an anxious time, since loss of weight and the night sweats he was suffering from, made the experience all but pleasant. 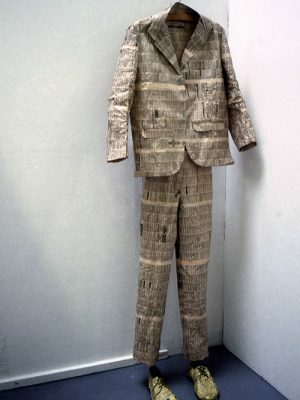 In his Paper Suits made of the personals' section of the Loot' newspaper the artist tries to convey a feeling of isolation and frustration due to the difficulty of making sexual relationships with other men. The choice of paper tries to reflect among other things the fragility he was experiencing at the time with his own body. Those suits have been worn by the artist as performance pieces and the culmination of this work can be seen in the video section where the artist stands under the rain and waits to be disrobed by the disintegration of the suit when it comes in contact with the water. 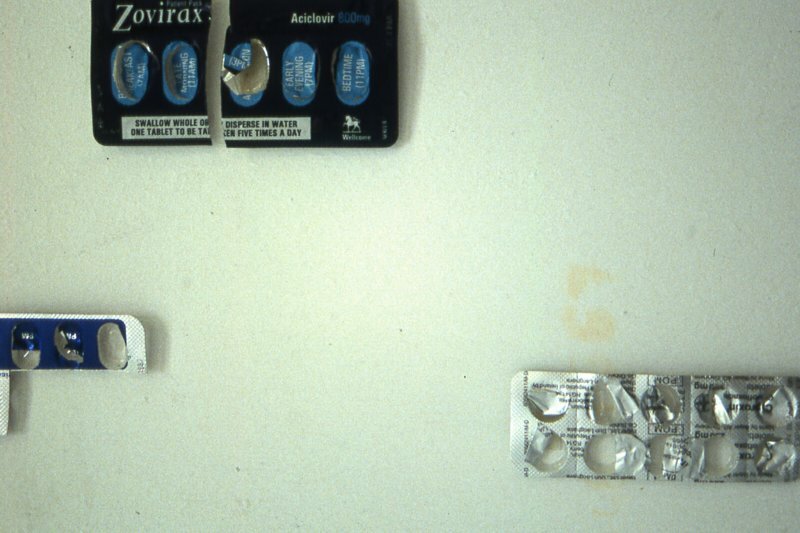 Shelves was the last piece of work dealing directly with medication and his status as an HIV/AIDS patient. PILL BLISTERS AND PAPER ARMCHAIR. In some sort of awkward and precarious comfort provided by the paper armchair, Manel can be seen surrounded by a rain of empty pill blisters in a corner of an undefined space. 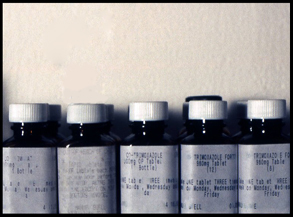 The installation tries to reflect the physical and psychological invasion of an illness of that nature. 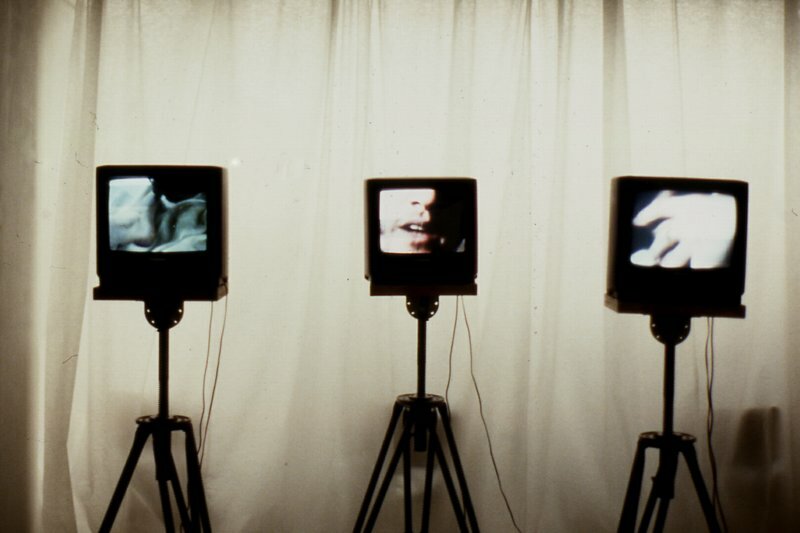 The entire piece lasts around 20 minutes and is Manel`s first attempt to video and performance art. In it a man's hand and a woman's foot can be seen being liked and sucked by the artist, whose mouth appears at the centre of the piece in the process of uttering some sort of self confession or litany followed by soulful singing.